Torino welcomes Cagliari in a game from the 32th round of the Italian Serie A. Let’s take a look. At this moment Torino are 8th in the Serie A standings with 49 points won. The Bulls have a record of 12 wins, 13 draws and 6 defeat since the beginning of the campaign. In their last five games in the league Torino won twice, made two draws and suffered one loss. Right now Walter Mazzarri’s team is just 2 points behind the 6th Roma and the Europa League zone in the Serie A. Torino have a very realistic chance play in Europe next season as long as they make a strong finish of their season. In their last game in the league the Bulls visited Parma and made a 0-0 draw. The visitors had some chances to score a winning goal, but Andrea Belotti didn’t have enough luck to score past Luigi Sepe. Belotti have 12 goals in the Serie A since the beginning of the season. Meanwhile Cagliari are 12th in the Serie A with 36 points won so far. The Rossoblu have a record of 9 wins, 9 draws and 13 defeats since the beginning of the season. In their last five matches Cagliari won three times and suffered two losses. They are currently 8 points above the relegation zone of the league. In their last game in the Serie A Cagliari enjoyed a 2-1 win over SPAL at the Sardegna Arena. Pancrazio Farago and Leonardo Pavoletti scored for the home side, while Mirko Antenucci scored SPAL’s only goal in the game. But it was not enough for the visitors. 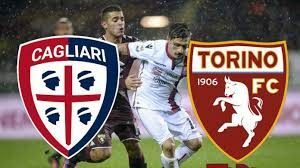 Some might say that Torino are the favourites here against SPAL, but we advice you to not underrestimate Cagliari, who are in a good form in the last few weeks.